Yesterday I had my final CW Academy session. As an indication of how good it was and how much we valued it, not one of the five of us ever missed a single session! There were sixteen hour-long sessions over two months. And it was all free! Late last year I noticed a couple of messages from Jack W0UCE inviting hams keen to improve their CW skills to join in and pointing them to this page detailing the thinking behind CW Academy’s approach. What was on offer was a series of online sessions in a small online group re-learning the code. The hour-long sessions are designed to get you to read in your head and to break or avoid habits (like writing everything down) that will prevent you from increasing speed later. The target for our beginner group was around 20wpm. The sessions took place using Oovoo which is like Skype for groups. (Apparently it’s important that the instructor can see who is having difficulties.) We logged on twice a week. In between times we were expected to practice daily using a nifty online tool, Morse Translator. This neat web app lets you practice listening to code and adjust both character speed and Farnsworth spacing. Our default setting from day one was 20wpm character speed with gaps to yield an effective speed of 10wpm. 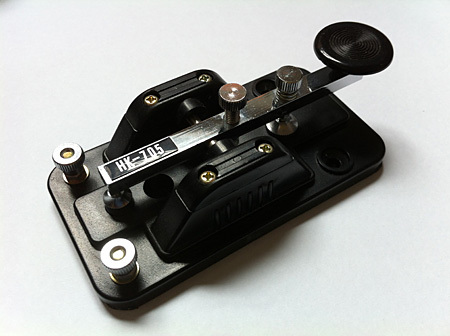 Morse translator is a great model to help practice sending as well. I found including sending practice helped lock in recognition of words. Our teacher or Elmer was Rob K6RB. He shared his intense enthusiasm for CW with us as well as his experience on air. After a few weeks of walking us through the alphabet, numbers and prosigns and practising new letters and words, Rob gradually upped the speed. Then the rubber hit the road about week five when we were QSOing back and forth. Rob patiently introduced us to the format of the typical QSO, contesting and even handling a DXpedition. His aim was to prepare us for these so that we’d know what to expect and what was expected of us when we joined in. We got the benefits of decades of operating experience in these sessions. The CW Academy is an initiative of the CW Operators Club. CWops is international in focus and it was great to be accommodated as the token DX in the group. As they say on the webpage “available to anyone, anywhere”. The training has got me confident to get back on the air with a practical code speed and as a bonus, interested for the first time in having a go at contesting, initially the CWops fortnightly Mini-CWT contest which we spent a couple of sessions rehearsing. A big TU to CWops and Rob K6RB for all their efforts running the CW Academy.